In this midyear report, we look at who's up and who's down compared to a year ago. Driven by acquisitions and longer warranties, some companies are paying out more than ever before. But others have found ways to cut their outlays by big numbers. As best we can tell from a still-forming picture, worldwide warranty claims reported by American manufacturers during the first half of 2006 are up around 4% to $13.7 billion. If that pace holds up for the rest of 2006, we're likely to see a $28.3 billion total by year's end, up from last year's $27.2 billion total. The top 100 U.S.-based warranty providers, as defined by the amounts reported in worldwide warranty claims during the first two quarters of 2006, represent around 90% of that total. Another 600 or so reporting companies represent the balance. Taken together, all their warranty outlays represent around 1.8% of their product revenue, though many of the largest warranty providers are more into the 2.5% to 4% range. While it's not advisable to compare one company's figures to another's, because each may count warranty slightly differently, thanks to three-and-a-half year's worth of data it is now possible to compare one company to itself over time. So let's compare the top 100 at the midpoint 2006 to the same list a year ago. What we'll do is direct your attention to the Warranty Week home page for the complete list, and to the six slices below for some perspective on what it all means. For most of the companies on the charts below, the first half includes the months of January through June 2006, though for some that end their fiscal years on dates other than Dec. 31, we selected the two quarters that ended during the months of January through June and simply called them the first and second quarters. All the data was collected during August and September, when all public companies are expected to file their midyear Form 10-Q or 10-K statements with the U.S. Securities and Exchange Commission. But there's a problem: six of the top 100 warranty providers have decided they don't need to follow the warranty accounting rules defined four years ago by the Financial Accounting Standards Board. Rather than disclose their warranty balances in their "interim and annual financial statements," as is clearly required in FASB Interpretation Number 45 (page 7), General Electric, Motorola, Black & Decker, Eaton, Illinois Tool Works, and Textron have decided they need to make those disclosures only once a year. At least they're consistent. In contrast, companies such as Goodyear, Xerox, United Technologies, Baxter International, and Exide Technologies used to follow the rules and report quarterly upon their warranty expenditures. Whether they forgot, or whether they simply no longer feel like it, they have each now decided to discontinue reporting upon their warranty balances. We can only hope that the SEC, after it helps Dell straighten out its "issues relating to accruals, reserves and other balance sheet items," that it can find some time to look at other companies. What we've done for these temporarily missing companies, therefore, is to insert one-quarter of their reported 2005 claims total as a place-saving estimate until actual data becomes available. Those estimates are marked in red, and since they're the same as the 2005 data, we're not going to make any year-ago comparisons. However, for their claims rates, we're going to carry over their actual year-end 2005 figures, and compare them to year-end 2004 numbers. All the rest of the data is valid for the first half of 2006, except for Apple Computer, KLA-Tencor, Navistar International, and Western Digital Corp. Because of accounting problems unrelated to warranty, those four companies are now past the deadline for filing their quarterly and/or annual reports with the SEC. And so, for them we have also carried over their most recent figures, and have made comparisons to a year before. For Navistar, which has now missed three quarterly deadlines, we're comparing Sept. 30, 2005 to Sept. 30, 2004. For the other three, we're comparing March 31, 2006 to March 31, 2005. So let's start with a list of the top ten warranty providers. These ten companies by themselves represented nearly 60% of the $27.2 billion in claims paid during 2005 by all U.S.-based manufacturers, and will probably end up accounting for a similar proportion of the 2006 total. But we won't know that for sure until early 2007, when Motorola and GE file their annual reports. What we do know is that the other eight have together reported more than $7.5 billion in claims for the first half of 2006. 1. Claims rates for General Electric and Motorola were derived from year-end 2005 data. All others were measured at the end of the second quarter of 2006. Next we'll take a look at the companies that saw the biggest percentage drops in their warranty claims totals. In other words, if claims during the first half of 2005 were $100 million, and if that total then dropped to $80 million during the same period of 2006, that would represent a rather noticeable 20% reduction in claims paid, as measured in dollars. What's surprising is that five companies did even better, cutting their claims totals by anywhere from 21% to 43%. Notice that the claims rate declined for only six of these companies. And for five of those, the claims rate dropped by more than the claims total. That means these companies are living in the best of all possible worlds. Since the claims rate is based on the claims total divided by sales revenue, this means that warranty claims fell and sales rose at the same time. Of the 49 companies that saw their claims rate fall during the first half of 2006, 20 reported either the same or smaller totals for warranty claims in dollars. Conversely, of the 50 companies in the top 100 that saw their claims rates rise, 34 also saw their claims totals increase. Rising claims is not always a bad thing. It could be caused by a large acquisition, as in the case of Johnson Controls (which bought York International), which tops the list below. Or it could be caused in part by acquisitions (Seagate buys Maxtor) and in part by warranty policy changes (Seagate's five-year disk drive warranties). It's worth noting that two other major acquisitions didn't make this list: Whirlpool buying Maytag, and Cisco buying Scientific-Atlanta. In Whirlpool's case, the acquisition of Maytag caused an increase, but not a large enough increase to make the top ten list below. In Cisco's case, the company reported exactly the same claims totals for the first halves of 2005 and 2006, so there was a 0% increase in terms of dollars, and a net 12% decline in terms of percentage of sales. While the dollars reported for warranty claims might be interesting, what's even more important is the share that amount represents of product revenue. The next four charts address that aspect of warranty accounting. But before we get into that, take another look at Table 1. Only three companies reported warranty payouts of $1 billion or more in this year's first half, and for two of them, that represented a smaller percentage of revenue than it did last year. For instance, let's take a look at GM. Last year it paid out $2.37 billion on automotive sales of $77.8 billion, a 3% claims rate. This year it paid out $2.19 billion on sales of $88 billion, a 2.5% rate. That equates to a $10.2 billion sales gain and a $173 million warranty reduction. Combine the two together and it's an 18% reduction in the company's warranty claims rate. For an automaker looking to win back customers with lengthier (and costlier) warranties, this is good news indeed. The funny thing is that a 18% claims rate reduction doesn't even make the top ten this year. It's funny because in dollar terms, GM reduced its warranty outlays by more than all but 14 companies paid out in total. But in percentage terms, it ranked number 12 (behind these ten below and Eaton). And then there's the other side of the coin. Six companies saw their claims rate rise by more than half, as the chart below details. Of the 50 companies in the top 100 that saw their claims rate rise, only 21 saw their rates rise by more than 20%. But of course, in the table format now used to report warranty expenditures, no comparison is made to product revenue. As with price-earnings multiples and many other financial ratios, it's left up to the investor to take out a calculator. Before you go short-selling the companies on this list, however, keep in mind that some of these increases are readily explainable. For instance, Johnson Controls averaged an 0.2% claims rate back when it was primarily a supplier of automotive interiors and batteries. As we've noted countless times, automotive suppliers get off relatively lightly when it comes to warranty claims. But then at the very end of 2005 Johnson Controls acquired a major manufacturer of central air conditioning units and compressors -- an industry where warranty claims are taken very seriously. And then the warranty claims rate "soared" by 95%. But it's still not even a penny on the dollar: it went from 0.18% in June 2006 to 0.35% in June 2006. It's much the same story at Lucent. A year ago, the company had a below-normal 1% claims rate, having seen its claims rate plummet from 3.5% in 2003 to sub-1% in much of 2004 and 2005. Now it's more than doubled from that low base, to a more normal 2.1% rate. 1. Claims rates for Goodyear and Motorola were derived from year-end 2005 data. All others were measured at the end of the second quarter of 2006. The change isn't as important as the starting and finishing rates. Going from 0.2% to 0.3% isn't so alarming. Going from under 5% to over 5% is somewhat disconcerting. Anything over 5% is a sign of a manufacturing crisis, unless of course you're making computer printers. For that product category, the sales model is to cut the price of the hardware to get the customer, then make your money on the ink and paper. Unfortunately for warranty claims rate calculations, ink and paper revenue don't count. Nor does service or finance revenue, which is where several of the largest computer companies make a good chunk of their money these days. So keep in mind that certain product categories such as printers, handhelds, and semiconductor manufacturing equipment tend to attract warranty claims. And remember that these calculations are made after deducting all non-warranted revenue streams. Incredibly, there are 30 companies within the top 100 that report claims rates below 1%, including Tyco, TRW Automotive, Dana, and a pair of homebuilders: D.R. Horton Inc. and Centex Corp. The reason it's incredible is that to make the top 100, a company first had to be among the largest warranty providers, which in terms of this list means they had to report more than $7 million per quarter in claims. So a company such as SPX Corp., with $14.2 million in claims over six months and an 0.7% claims rate as of June 2006, just barely makes the list despite reporting more than $2.1 billion in sales of warranted products. And companies such as Visteon Corp. and Lear Corp., despite having multiple billions in sales, don't make the list at all. NHTSA asks Toyota, Chrysler and Ford for information on wheels falling off their SUVs to compare with Hummer investigation. Australian retailer Harvey Norman assails allegedly restrictive computer warranty policies. Dud cluster bombs found in Lebanon battlefield had long-ago expired warranties. Reviewer worries about the short warranty on the very large Seagate 750GB external hard drive. N.E.W. 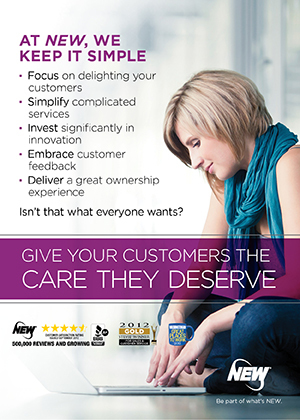 Customer Service Companies acquires Canadian warranty software developer BlueRealm Solutions. Toshiba recalls faulty notebook batteries; defect not related to Dell/Apple/Sony problems. Little said at the HP technology forum in Houston about the leak investigation in California. Rushed and late deliveries of electronics-laden autos blamed for higher warranty costs. Warranty Activation Headquarters solicits business in Oklahoma without an insurance license. The Will-Burt Co. offers a two-year warranty to all commercial and military antenna customers who register their purchases online. ATV manufacturer will cancel its warranty if buyer doesn't take an in-dealership safety class. General Motors repeats what Hyundai did to boost its corporate image: longer warranties. Law student sends broken products back to manufacturer and sometimes gets replacements. JPMorgan Securities says Nissan's warranty costs per vehicle have nearly tripled to almost $500, and may go even higher. Pulte Homes and Centex Homes at the top in the J.D. Power and Associates 2006 New-Home Builder Customer Satisfaction Study. 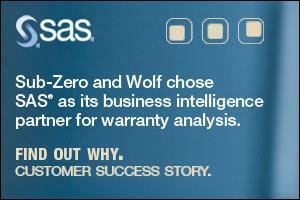 Sun Microsystems lengthens the warranty on all Sun Fire T1000 systems from 90 days to one year. Western Digital gives its new 160 GB Scorpio 2.5-inch Serial ATA hard drive a three-year warranty. With longer warranty, GM tells Ford to stop airing old ads.